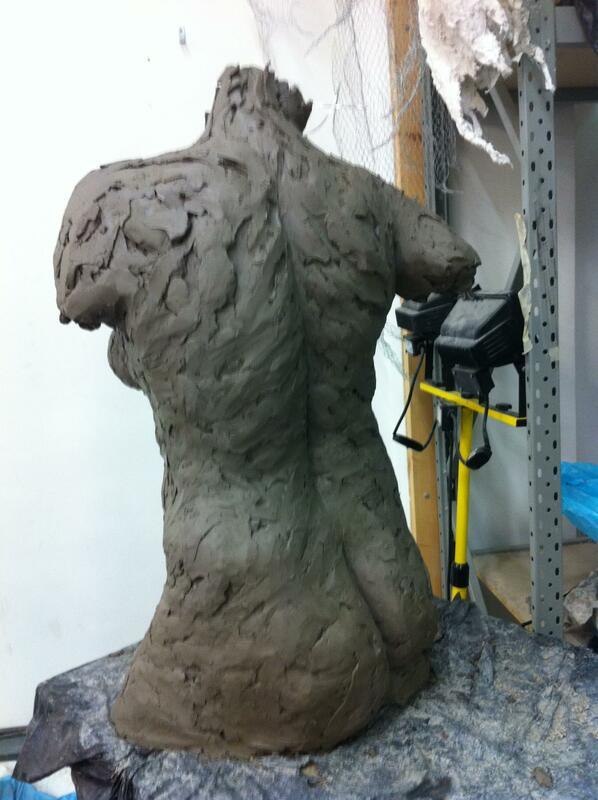 Ok, so perhaps I’d better explain the slightly quirky title to this post… My compelling introduction to the world of sculpture and art was in January 2010 at an adult education evening class in London (details in my first blog post). Gilbert Whyman RBS was my excellent and enthusiastic tutor AND, high excitement, he’s now teaching at the Art Academy! Pictured left with another student – Gil has been taking the Thursday Open Life Class this term. I was delighted when I heard, and it’s been great having Gil teaching me again. Without him my amazing new arty world would simply not exist! 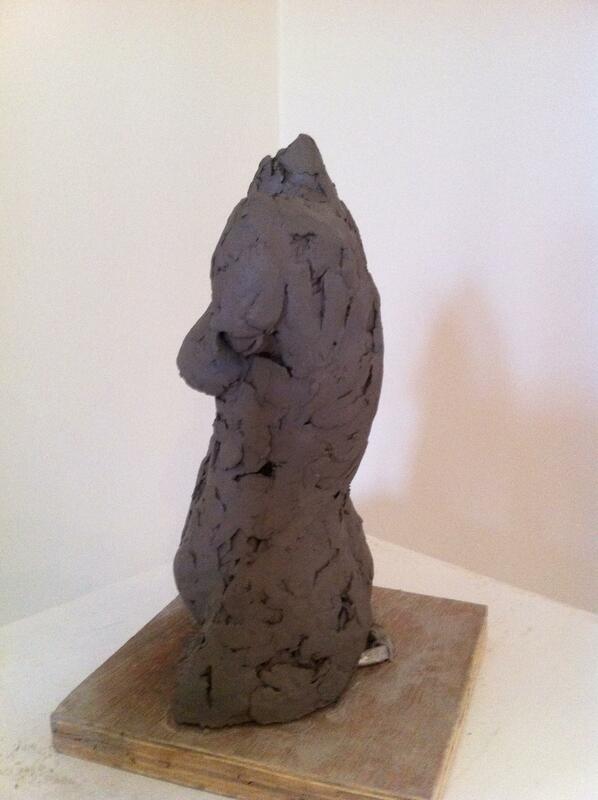 I felt that a torso would be the way forward so to begin with I made a maquette to ‘find my way into the piece’. 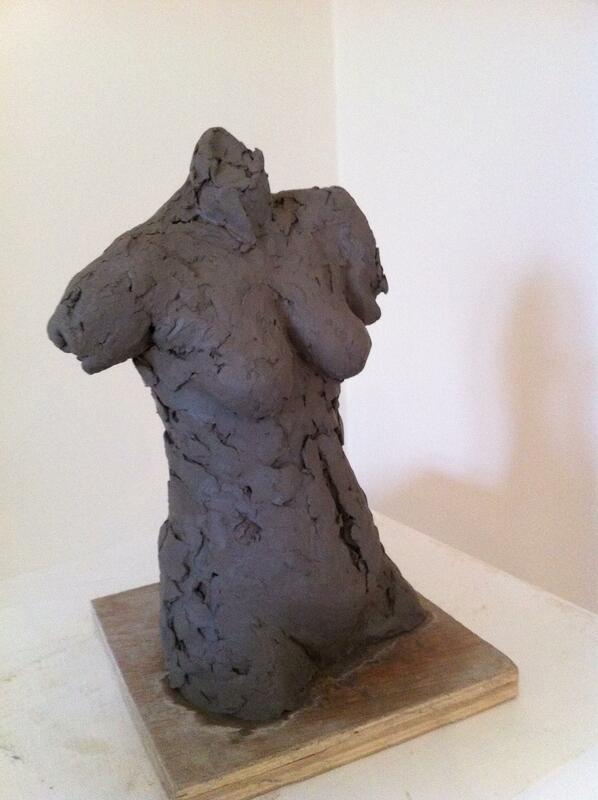 I wanted to work in an open expressive way as I find this way of working to be enjoyable and the results can be really interesting – for me it’s always lovely to see where the sculptor has been, almost like a drawing. 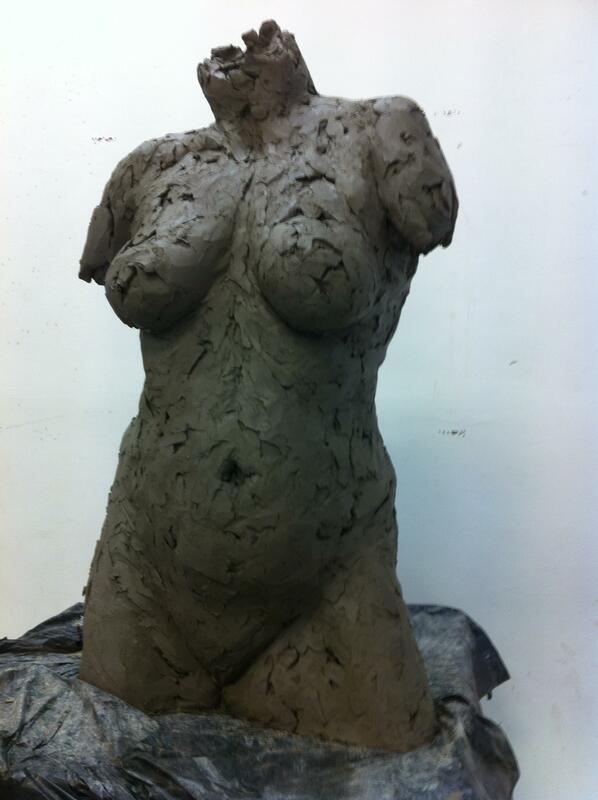 This is achieved with a loose more spontaneous approach in the sculpting and above all, trying to avoid over-working the clay and to leave any ‘marks’ caused by the artist and their tools. This is how she looks so far – not the finished article, but with a couple of days to go, just maybe I might have something worthwhile. Hi Gary ! Love your work. My late father was the painter for 40 years of his life, and sometimes when I was a teenager, i was interested to try myself in sculpturing (clay), and I still keep some of my best works. Haven’t done anything for many years, but your blog is inspiring me to try it again.